It was desired by the writer to have given a fairly full account of the schools and churches of the county, but he has failed in his efforts in this direction, and must be limited to what he can call up from memory, except as to the Missionary Baptist Churches, which can be more fully set forth as the history of that denomination extending to 1895, written by himself, may be consulted. The first school outside of Wetumpka, about which anything is known, was one at Nixburg, taught first perhaps by a Mr. Nix. From the first a school was kept up here and at times it was flourishing, especially was this true when Jerre Gary in the latter forties gave tone to it. He was followed in 1849-50 by a Mr. Kirkpatrick from Tennessee, who was a good teacher. In 1851, A. G. Brewer, who the year before had a fine school three miles above, took charge of the school at Nixburg, and was very successful, but gave up the school sometime in 1852 to become the editor of The Christian Telegraph, a Methodist Protestant paper of Atlanta. For some years the school was held up to a high standard, and reached its climax under Fred Oliver, after the war. The next school was in the Oakchoy neighborhood, started in 1837, taught by a Mr. John Brown. 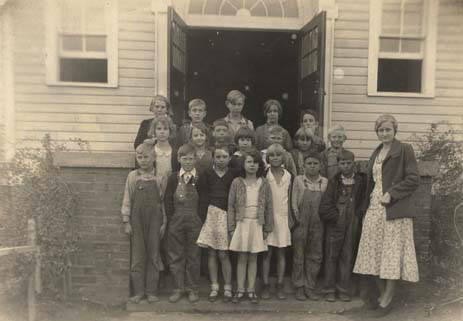 Here the children of J. W. Suttle, George Johnson, Spears, and the Harrells received their first school instruction. This school was broken up by a disturbance growing out of a fight between Eli Harrell and Hezekiah Spears, which originated in children’s tales. Next, and soon after, Charles Bulger, a nephew of M. L. Bulger, began a school rather in the same section, at Pine Grove, where he taught for two years. This neighborhood has usually kept up a good country school. John W. Brewer, a brother of the writer, taught here two years after the war. 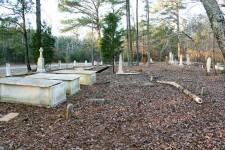 At an early period not later than 1837, the Scotch people had a school at the Carolina Church settlement. At Malcolm Smith’s, on Hatcheesofka, (variant of Sofkahatchee) there was a good school at an early date. From about 1840, schools were had in most neighborhoods where there were children enough to form one. It would be tedious and unprofitable to undertake to name all these. Only those most noted will be spoken of. For some years good teachers were employed for the school in the neighborhood of Reuben Jordan. This school had a wealthy patronage. Rockford kept up a good school from about 1851, called the “Alabama Masonic Institute.” Before this time John Hannon, Thomas Crawford, William Lee, and J. S. Bentley are remembered as teachers who gave the school a start such as it had not before had. He was followed by Geo. E. Brewer, and he in turn by S. B. Brewer. Others are not remembered well enough to state particulars, until after the war, when a Mr. Mackey revived the school. He was followed by T. J. Pennington, who for several years kept the school up well, until retiring to his farm and county superintendency. Since then the school has had several fine teacher. Good schools were also kept up at Equality and in the neighborhood of Joseph and Monroe Parker. 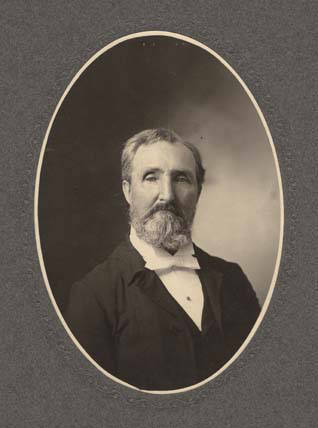 Jasper McAdory taught several successful schools, the last at Hanover. At its close he bought the farm of John A. Pylant and quit the school room. Mt. Olive usually kept up a good school. At Buychville a good school was kept up for a good series of years, in fact, hardly ever without one. Among its earlier teachers were Conrad Wall, William Holtzclaw, George E. Brewer, and Major Isaac Hall. Later Fred Oliver there, as wherever he taught, had a very large school. 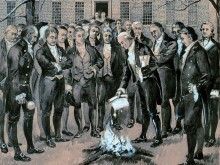 Its present teacher, (1942) who has been there several years, is Samuel Bentley. A good school was usually maintained at Antioch Church, especially in the days of the Rogers. Concord was another neighborhood that usually employed good teachers. John and William Hannon and John Hunter were for years good teachers who taught In different parts of the county. 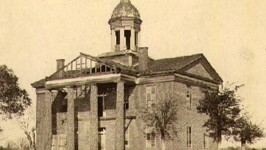 But the ranking school of the county was the Central Institute, a Baptist high school, located on the Plank Road, twelve miles north of Wetumpka. 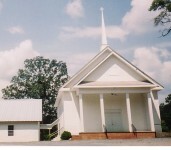 It was instituted and fostered by the Central Baptist Association from 1854 to 1860, when it was sold to Prof. Thomas C, Bragg, who for several years maintained its high standard. The building was a good, well arranged two story brick structure. There was also a good female academy under Mr., Walkley kept up here, contemporaneous with the Institute, which was a male institution. 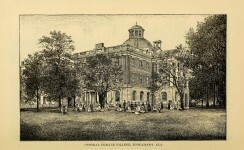 After the establishment of the Public School System of Alabama in 1856, there has been a steady improvement in the schools of the county. In more recent years, (1942) since Goodwater has become a place of mercantile importance, it has had a good graded school to dispense learning among its young At one time while Capt. John H. Clisby lived in the Weogufka country they had a good school, there, taught by Thomas Crawford, a smart man and in some respects a rare genius. Among the schools of note, but of brief existence, was an academic one established, by Rev. 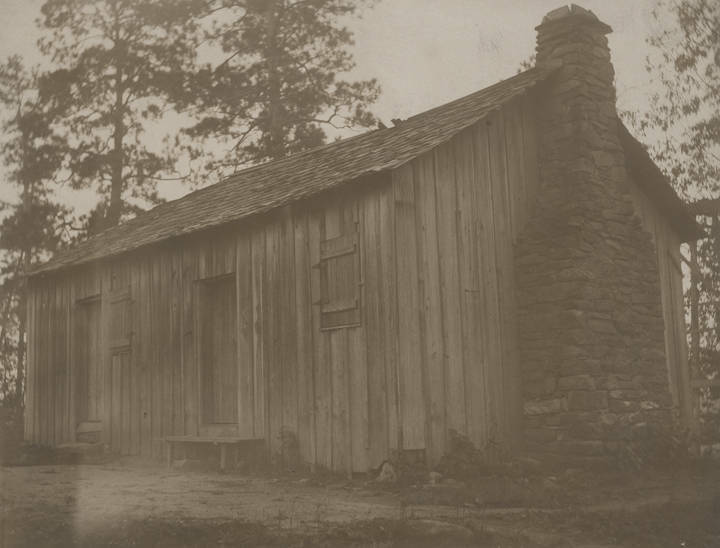 McAlpine, a Presbyterian minister, at Pine Flat, near the fine home of John A. Graham He was followed by Rev. A. G. Brewer in 1850. It was consolidated with the Nixburg school, in 1851. Skyline Farms – Part 5 – I wonder where these children are now? 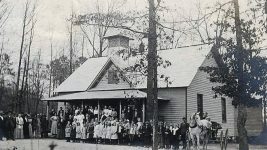 Skyline Farms – Part 4 – Schools were crowded then too – Great photographs! Land of my ancestors. Harris, Wilbanks, Thornell, Gilliland, Haynie – Rehobeth is a suburb of Nixburg. Those are my folks as well. My grandmother, Mary Thompson Harris, taught at a school near Goodwater, in the 1920’s. It’s good to see more of the detailed writings of Rev. George E. Brewer being brought to a later audience. Just one note to clarify the period in which his material was written. After a long and distinguished career as an educator, military officer, elected official and minister, he became an early employee of the Ala Dept of Archives and History.He wrote his “History of Coosa County” from personal experiences and research during 1917-1919. He died in 1922 at age 90. He created a number of unpublished historical articles and it would be a great service for more of them to be published. 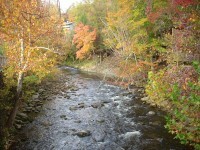 Part one of his Coosa history was published in the department’s quarterly Vol 4 in 1942. The number of reprints of that volume attests to the popularity and interest in his writings. My sister lives in Weogufka and that school is still there! The building is still there, but it is no longer used as a school. They combined the 3 high schools in Coosa County several years ago. I went to Curtis Consolidated School (later called Curtis Jr High although there were 9 grades) in lower part of Coffee County (between Elba and Opp). The school burned in 1940 before I started to the first grade and a new school built and opened in 1941. We haven’t been able to find any photos of either the old school or the new one. It was closed in 1967 and burned a few years later. I secured an historical marker for the school a few years ago. 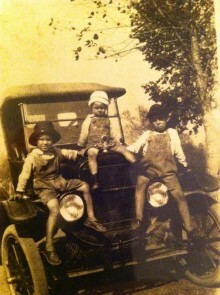 If you ever come across any info or photos, I would appreciate learning about them. We have a school reunion the 2nd Sat of Oct every year near where the old school was located, having had our 30th reunion this year. We have retired and moved back to Elba in 1997. Our little town has been named a Main St AL town and we are just getting started on downtown preservation. My vision is to establish a history museum in one of the empty stores on the courthouse square. if you go to Facebook and enter “city of Elba” you can view a short video we presented to the Main St committee early this year as part of our application process. A local photographer put this together and our chamber director wrote the script. Nell Wilson Gilmer, author of “Elba – Then and Now, 1853 – 2012”, published locally and for sale at Elba Chamber of Commerce. My father, Robert DuPriest was the first principal of Kellyton School in Coosa County, a 3 room wooden frame building.